CARIBOU - Northern Maine Development Commission's Business Finance Division and Small Business Development Center will be presenting a workshop entitled "Basic Bookkeeping Techniques" Thursday, Nov. 20, at 9 a.m. in Caribou. Whether you keep your books on paper, through computer software, or hire an accountant or bookkeeping expert, proper bookkeeping practices are important to the operation and survival of any business. Without them, your business is susceptible to not only cash flow issues, but potential legal problems as well. This workshop will provide an overview of journal and ledger bookkeeping techniques and the accounting software QuickBook. The workshop will be held at the NMDC boardroom in Caribou from 9 a.m. to about 11:30 a.m. 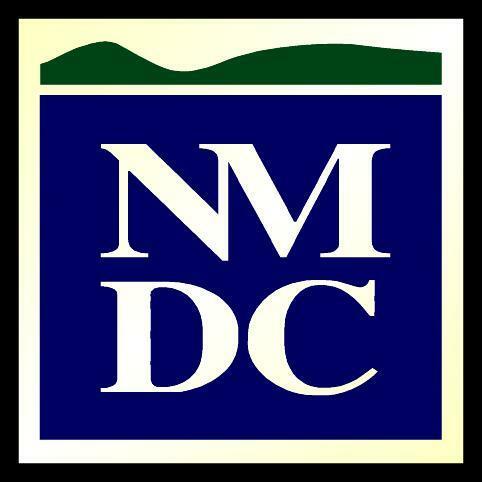 Please pre-register with an RSVP to Mary Dahlgren 498-8736 or mdahlgren@nmdc.org. AROOSTOOK COUNTY - OpportunitiesAroostook.com, which just passed the 70 jobs posted mark, is now out of beta testing and ready for the public. Opportunities Aroostook grew out of the APP Education to Industry initiative, which looks to connect high school and college students with emerging jobs in The County, but even if the region retained every student projections indicate there still wouldn't be a large enough workforce to meet needs. 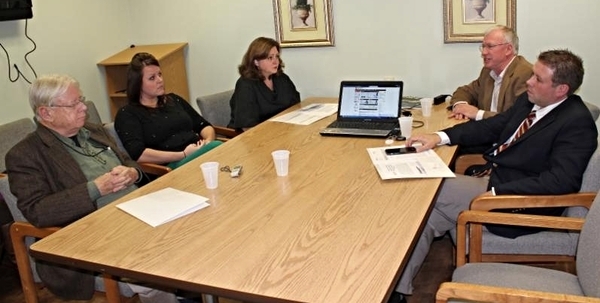 A press event to kick off OpportunitiesAroostook.com was held Wednesday at Pines Health Services in Caribou. On the right side of the table are, from back, Bob Dorsey, President of APP; and Ryan Pelletier, Executive Director LEAD. To the left in back, Jamie Owens and Brittany Haines of AMHC and Douglas Christensen of WCXU. "I think this is, if done correctly and used by the business community, a tremendous potential for getting the word out and attracting folks back here," said APP President Bob Dorsey. Donations and commitments to the project are coming in to LEADers Encouraging Aroostook Development. So far, Pines Health Services, Katahdin Trust Co., TAMC, MMG Insurance and AMHC have either made a cash donation or committed to do so in the future. "Our goal is to raise the necessary funding, working with our business community, to create a state of the art presence on the Web to entice job seekers and employers to post resumes, job announcements, etc. and be a resource that guides people back home," said LEAD Executive Director Ryan Pelletier. Pines Health Services was the first organization to donate to the effort, but also the first to start posting open positions. James Davis, Executive Director of Pines Health Services commented on the need for an effort like Opportunities Aroostook. "Plain and simple, the economic survival and vitality of The County," he said. "Our critical 18- to 44-year-old population segment is below sustainable levels. Local companies who have openings for skilled and professional employees can not fill those positions, because of the widespread misperception that there are not any good-paying, career positions available." Dorsey added the effort will only work if employers in the region utilize the jobs site and become more active in recruiting new employees. "The site is very easy to use and employers can manage their own listings," stated Grant. "However, we are there to support any employer that has questions or needs help navigating all the features." For technical support, contact Grant at fred@whoufm.com or by phone at 532-3600.